Hobsons Bay City Council Mayor Angela Altair and CEO Aaron van Egmond with Toyota Australia's Manager of Advanced Technology Vehicles Matt MacLeod and one of three Toyota Mirai FCEV trial vehicles. 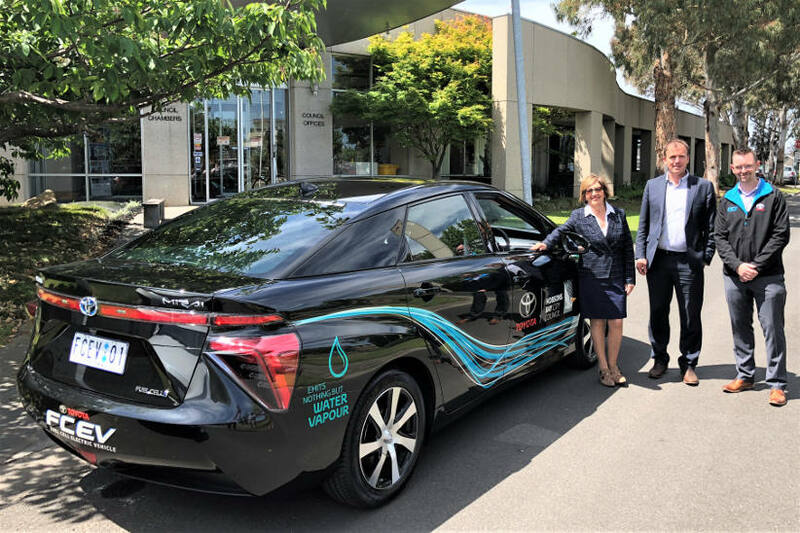 In an Australian first, Toyota Australia is partnering with a Melbourne council for a real-world trial of environmentally friendly, zero CO2 emitting hydrogen-electric vehicles. In November, three Toyota Mirai Fuel Cell Electric Vehicles (FCEVs), the first of their kind to be driven by members of the public in Australia, will be provided to Hobson’s Bay City Council in Melbourne’s inner west for a 12-week trial. During that period, the Mirais (Japanese for ‘future’) will be driven by council staff under a range of conditions and at different times of the day, just like any other vehicle. The trial will help Hobson’s Bay City Council reduce its vehicle fleet emissions and reach its environmental target of zero CO2 by 2020. Toyota Australia’s Manager of Advanced Technology Vehicles and Site Development, Matt MacLeod, said the trial will go a long way to normalising the new technology. “We know that it’s only a matter of time before CO2 regulations arrive in Australia, and that’s why there is such a huge focus on zero emission vehicles like the Mirai,” Mr MacLeod said. “This trial is a step in the right direction and that’s why we’re excited to partner with Hobson’s Bay City Council to see these Mirai used in a number of real-world applications. “It’s a great opportunity to highlight the fact that these cars drive just like any other vehicle, except they don’t make any engine noise and emit nothing but water vapour. “Like most hydrogen powered vehicles, the Mirai isn’t currently available for sale in Australia, mainly because there isn’t existing hydrogen refuelling infrastructure to support it,” Mr MacLeod said. The trial FCEVs will be refuelled at a mobile hydrogen refueller based at Toyota’s former manufacturing site in nearby Altona – a 13-minute drive to Hobson’s Bay City Council. Hobsons Bay City Council Mayor Angela Altair said Council staff were looking forward to getting behind the wheel of the FCEVs. “Our staff will use the three Toyota Mirais to carry out their work for our community,” said Cr Altair. Cr Altair said trialling the hydrogen fuel cell electric cars as part of Council’s fleet brings both the community and the organisation closer to meeting their goals for addressing climate change. “One of the key priorities in the Hobsons Bay 2030 Community Vision is sustainable practices and growth through innovation, access to local jobs, technology and education,” said Cr Altair. “This is such an exciting opportunity to partner with our friends at Toyota and experience their emerging technologies. We are proud to take a leadership role in supporting low emissions vehicles and the development of new and innovative technologies that address climate change,” she said. The trial with Hobson’s Bay City Council will be the first of several trials run by Toyota Australia over the next three years, with Australia’s number one car company planning to loan the Mirai FCEVs to participating companies or organisations for up to 12-weeks at a time. “This is just the beginning. It’s an exciting first step to not only build greater awareness about this new technology and the Mirai FCEV, but it’s also step towards a cleaner, greener future,” Mr MacLeod said. Melbourne is fast on its way to becoming Australia’s hydrogen hub, with two hydrogen fuel cell (FC) forklifts being trialled at Toyota Australia’s former manufacturing site in Altona. 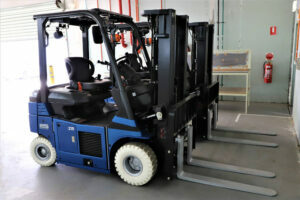 The Toyota Material Handling FC forklifts are the first to be used by Toyota outside of Japan. 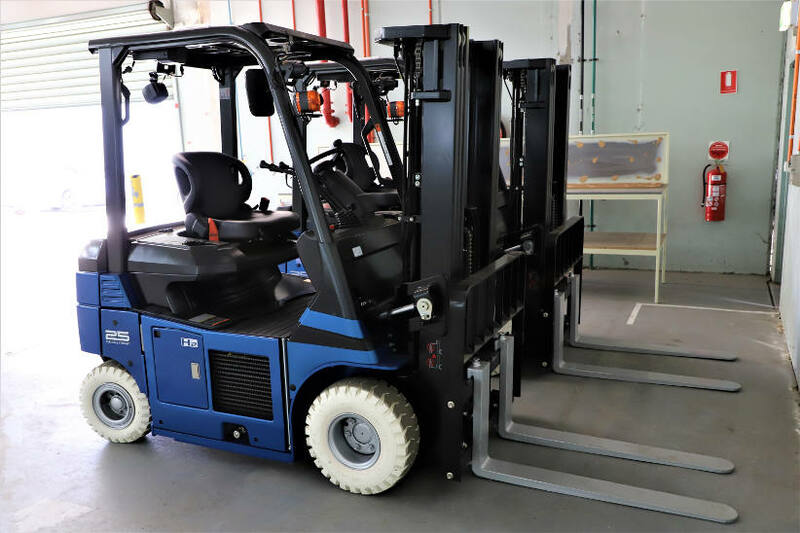 Toyota Material Handling Australia’s General Manager of Corporate Compliance and Project Development, Bob Walmsley, said the hydrogen FC forklifts will be used to move parts around the Toyota Parts Centre at the Altona site. Like the Mirai, the FC forklifts will be refuelled at Toyota’s mobile refueller at Altona. On top of emitting zero CO2, Mr Walmsley said in the long run, the forklifts will also be very cost effective. “When a sustainable energy source like solar, wind and water is used to produce the hydrogen, there is a high potential for energy cost savings,” he said. The forklifts will be shipped to Sydney next month to make an appearance at the official opening of the new Toyota Parts Centre in Kemp’s Creek in Western Sydney. Toyota Australia’s leadership in the introduction of hydrogen technologies to Australia has also been seen through its role in co-founding industry association Hydrogen Mobility Australia with Hyundai in 2017. Hydrogen Mobility Australia CEO, Claire Johnson, said Toyota’s Mirai trial program will help drive the growth of the hydrogen industry and the development of infrastructure. “Hydrogen mobility is being recognised by governments around the world to meet their environmental and economic goals. In Australia, we are working with governments at all levels to accelerate the introduction of hydrogen transport with positive progress to date, however public-private partnerships will be essential for the long-term success of this important sector,” she said.